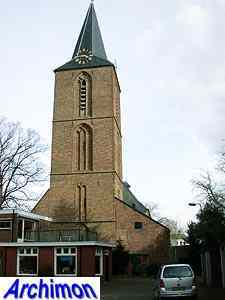 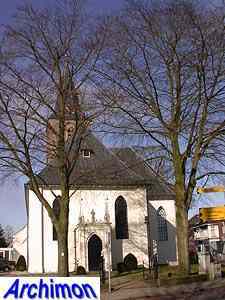 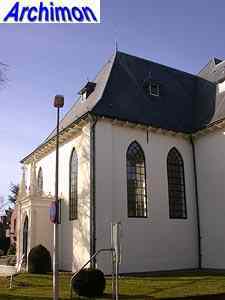 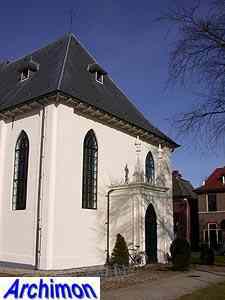 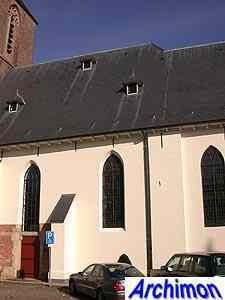 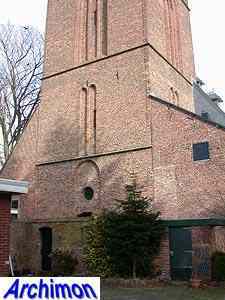 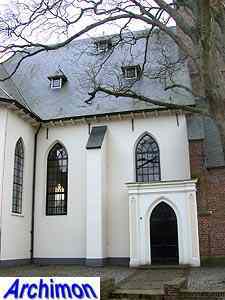 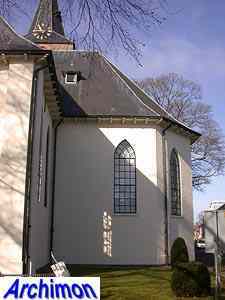 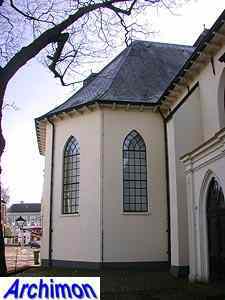 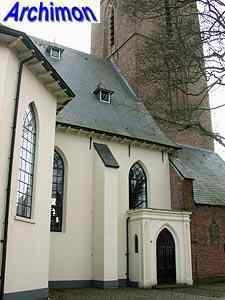 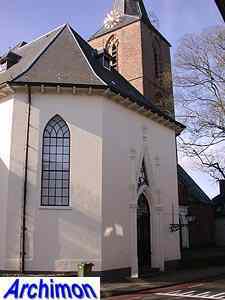 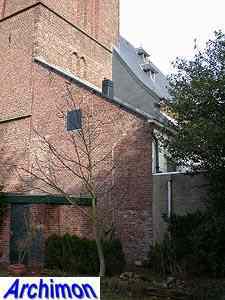 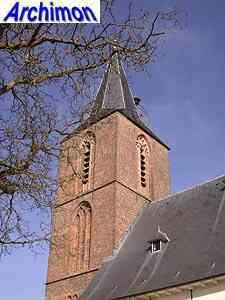 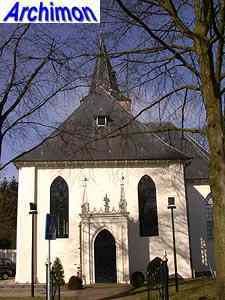 The old church of Goor, in catholic times known as St. Petrus, after the Reformation often called Petruskerk and recently renamed Hofkerk, was built at the oldest part of the town, although Goor's center has moved a bit since. 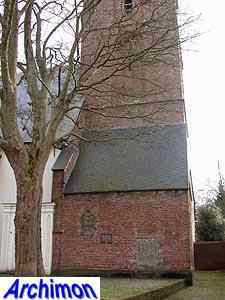 Although the church is first mentioned in 1347, probably a tuff church stood on this location as early as the 12th century, possibly predated by a wooden church ever since the 9th century. 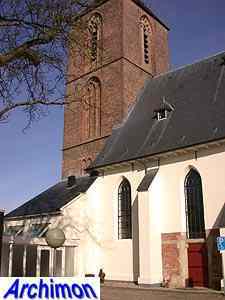 In 1581, during the Eighty Years War, the church and the tower were largely destroyed. 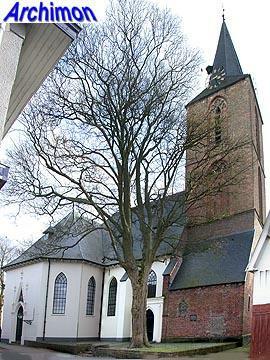 Rebuilding began in 1604, and in 1640 the church was extended in eastern direction. 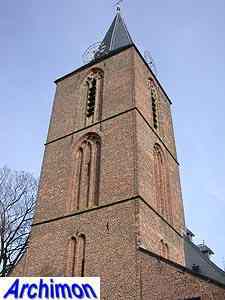 In 1854-1855 a transept-like construction was added to the north side. 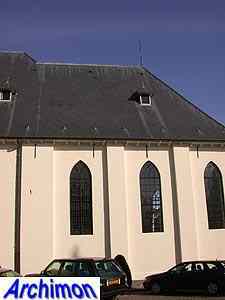 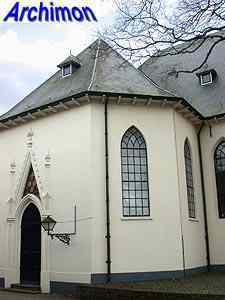 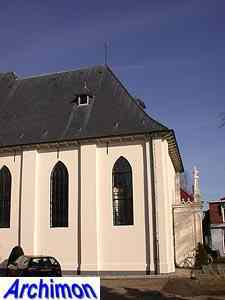 The church has several entrance in early neo-Gothic style, all added in the 1850's.